Jamala was chosen to receive the 2018 Seth Kirschenbaum Award because of her unique contributions to diversity within the legal profession; her leadership and service in the Atlanta legal and broader communities; and her professional accomplishments. For example, near and dear to Jamala’s heart is inspiring young people to pursue law. 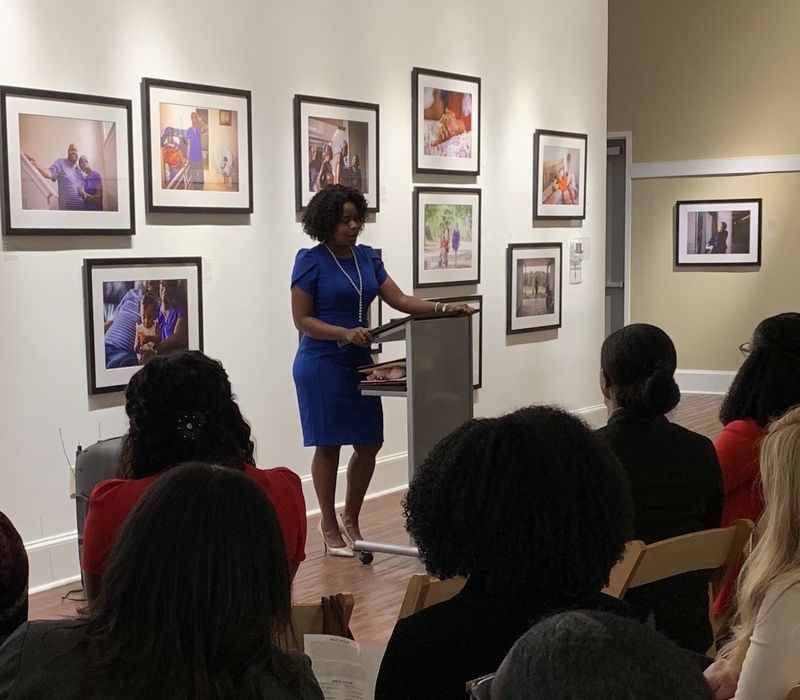 Jamala decided to become a lawyer after participating on her high school’s mock trial team, where she first met a lawyer and was exposed to the possibility of law as a career. Once she became a lawyer, Jamala decided to pay that gift forward. For more than 10 years, Jamala served as the coach of Therrell High School’s mock trial team. In this role, Jamala provided more than 100 inner-city high school students exposure to the legal profession. She has also ignited the flame for many of her students to pursue a career in law. Her face lights up when she talks about the fact that one of “her kids” is studying for the bar exam and when another returned to the team as a law student to help coach. 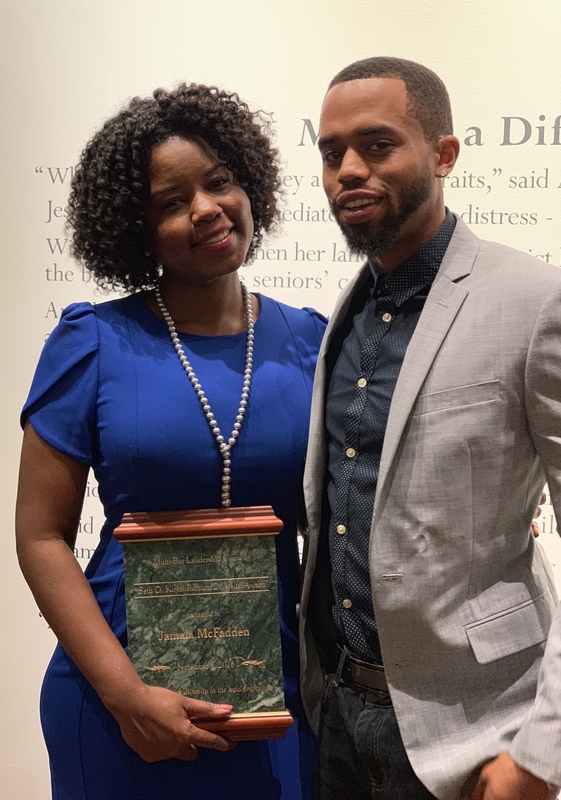 The feeling of adoration is mutual, as expressed by her former students: “I would have never imagined becoming an attorney without Ms. McFadden’s support. Her commitment to underprivileged communities encouraged me and so many of my former mock trial teammates to enter the legal profession.” ~ Darrius Woods, Esq.